Does anyone have issues running a CMX cleaning car over a rerailer track? And how did you solve it? 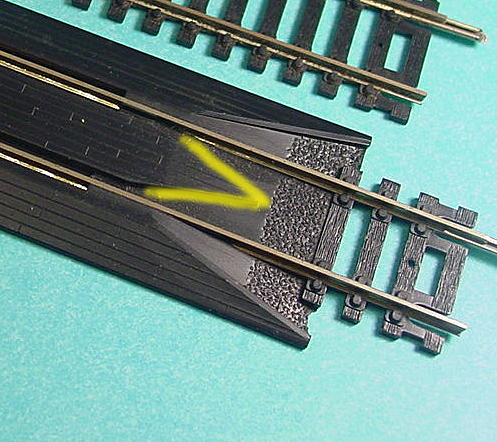 Sanding down the middle brown portion of the track? I have several wood plank crossings and some are styrene. I bevel the approaches to reduce the chance of any "dragging equipment" getting snagged on them, including the fabric of the CMX cleaning pad. I don't have any plastic rerailers but if I recall, they come to a point. You should bevel the leading edges of these points. Run the CMX over the rerailer by hand until you don't feel any snags anymore. A little resistance over the "Planking" shouldn't cause a problem. Be sure your cleaning pad is replaced often and that it is clipped so that it is snug against the brass backing plate. I have two Atlas rerailers and I haven’t had any problems running my CMX. All three are quite old. The rerailers are at least 30 years old and I think I bought my CMX in the late 90s or very early 2000s. Both rerailers are in hidden track and I would have to pull a cover panel to see if they have a tapered point but if you would like to know for sure I can pull the panel and take a look. Ed, thanks for the tip, I will go ahead and bevel the rerailers where you indicate. 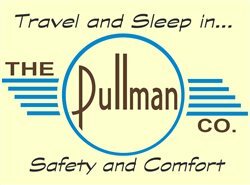 I wash the fabric after each use and when it appears to be worn out, I will cut another piece off the roll that came with the car. Mel, I appreciate the offer but I do not think that kind of effort on your part is necessary. The longer I put off buying one of these, the more they cost. Mike, they are on sale at ModelTrainStuff. Just got mine a few days ago. OK, that's $10. cheaper than the guy on Ebay. Recheck it Mike, it is 30$ off. I’ve had mine for a long time, I think I paid around $70 for my CMX. Gee, thanks Mel Now I feel better. You didn't happen to grab an extra one, did you? But, Mike, Mel's was purchased with yesterday's dollars. In 2018 dollars, Mel's car cost 105$. Yea, I suppose when Mel bought his, $70 was a lot of money for a car. $70 would have been a lot of money for a loco! depending on when he purchased it. I like a little glass of top shelf whiskey, every once in a while, and I'm NOT about to add up what that cost over a few years time. I have a few styrene grade crossings, painted as pavement in gray. When I run the CMS over them, using lacquer thinner as the solvent, sometimes it takes the paint off. Turns out that beveling the points of the rerailers was not enough. I ran a sanding block over the top of the entire rerailer between the rails and was able to remove just enough material to allow the cleaning car to glide over it without stopping. I also have some painted styrene crossings and I am taking note if the lacquer thinner I am using in the car is stripping off the paint. so far, so good. Eventually, I suspect I will switch over to denatured alcohol which I use when I clean the tracks using elbow grease. Does the pad get frayed out? causing snags? The material that came with my CMX is like a velour or velvet so nothing to snag. I might add that I’ve only changed the material once since I bought it. A simple cleaning with a slightly stiff brush using the cleaning ACT-6006 track cleaning fluid makes it look like new. I’m sold on ACT-6006 for cleaning my track with my CMX, works great and the fluid doesn’t attack anything but the crud on the track. It also cleans the wheels if I run it a dozen or so laps. The wheels look like new. I just got my CMX last week and have run it 4/5 times and no snagging. It just seems that the middle part of the rerailer was a little higher than the rails which caused the cleaning car to stop. I have reused the same pad and my experience is the same as Mel's so far, although I am going to look into ACT 6006. I just got my CMX last week and have run it 4/5 times and no snagging. Wow bearman, 4 to 5 times in a week! you must have the cleanest track around! I do want one of those cars, just going have to bite the bullet, as they say and do it. I have a couple of the short covered hopper variety. They work OK, but....some times it's an extra hassle because both of them have my home made pad on the bottom, as the original equipment is long gone. Clean on! Good luck with yours bearman! Mike, the track was pretty gunked up to begin with and, with my club showing up on Saturday for our monthly meeting at my house, I wanted to make sure it was clean. I dreaded the thought of a couple of days of elbow grease labor. Check the retailers that are on line, it looks like you can score a CMX at less than MSRP. PS: If I can spend money on a gizmo that makes life easier, I'll do it. But I admit to being in your camp about the cost of a CMX and finally bit the bullet. 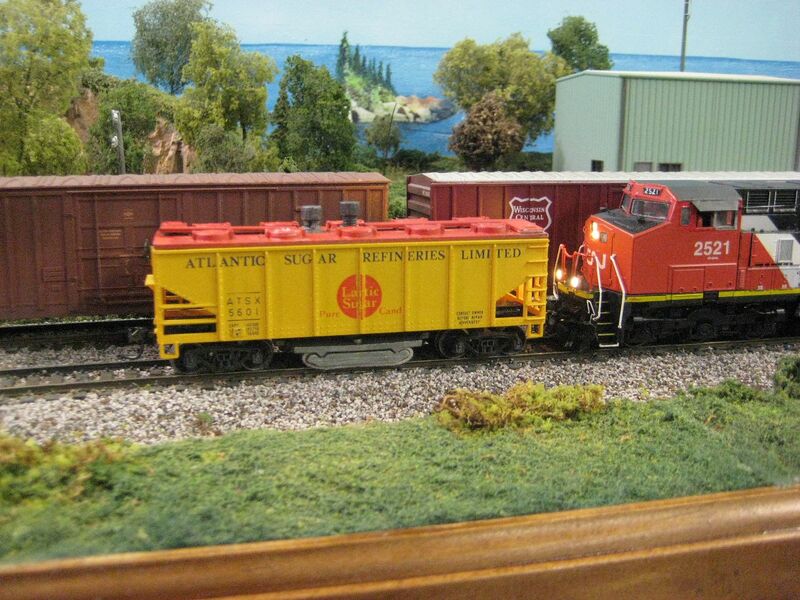 Wonder why the CMX had trouble on this layout? I had about 8 of the Atlas re-railers and it never got snagged. Curious because the trackwork on that layout was ... not good and I had all kinds of problems. The only thing the CMX did was clean the paint off the center part. Are newer Atlas re-railers made differently than ones from 1970? Well, that CMX is the best track cleaning car I have. Enjoy it. Gary, my rerailers were purchased way after 1970. In fact, the center part is smooth, no faux planks etched into the plastic as is indicated in the pics in a previous response. And, I would not describe my issue as snagging. To me snagging implies tearing up the pad. The pad was not torn up on my layout. Ain't that the truth. I bought mine about 5 years or so ago for $110, and I thought that was expensive. Now, the sale price at MB Klein is $159.99, and the regular price is $189.95. That pricing is outrageous in my opinion, and I attribute a lot of the price increase to all of the hype on trains forums, including this one. The CMX cleaning car is touted as the end all to track cleaning, So the manufacturer cashes in on it. In my experience, the CMX cleaning car is OK, but I can do the same or better with an alcohol soaked white cloth and my finger tip. And, if there is black gunk on the rails, the CMX cleaning car runs right over it without removing it. Incidentally, I use denatured alcohol, both in the CMX cleaning car and by hand (finger). Dunno, if you don't already have one, save your money. I just don't think that the CMX cleaning car is worth the money, certainly not $160 to $190. No way. Actually, Rich, I think outrageous can descrive the prices of more than just the CMX car. Of course. But, since the CMX cleaning car is the subject of this thread, I cannot help but notice and comment on the increasing price of the car over the last few years. And, it's not only the absolute price of the car, but it's also the relative value of what you get for your money. Since you can pour a little alcohol or solvent on a rag and wipe down the rails with your finger, by rubbing the damp cloth over the rail, is it really worth as much as $190 to run a tank car over the rails instead? Problem is that rubbing with your finger and a damp cloth is tedious when there is something like 1800' of track to clean. Our club runs two of the CMX tankers (bought at swap mets over the year, at highly discounted prices) using either 70% or 91% drugstore alcohol. We have found that at grade crossings on the railroad, and on Atlas 83 and 100 rerailers in staging, that the CMX car doesn't do much of a job of cleaning because the planks and paving and so on raise the cleaning pad enough that there isn't much contact. Haven't had a snagging problem. We clean those by hand. Another great tool is one a member concocted. He sticks the round synthetic felt chair pad gizmos to a screw and loosely bolts that through a paint mixing stick. Dampen that with alcohol and it has enough leverage and reach to do a good job in truss bridges, stub tracks, and other hard to reach spots. Ken Patterson uses cheap Harbor Freight socket wrench arms to make the same kind of tool. We discontinued mineral spirits and lacquer thinner as cleaning fluids after two of our brighter bulbs got into a discussion, stopped their CMX trains with the valves open, and melted some ties. A focused home layout owner would never ever have that problem. 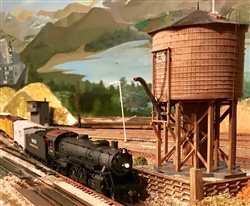 With the combination of CMX tanks, roller cars, and cleaning sticks, three people can cover our 30x60 railroad in an hour or so. 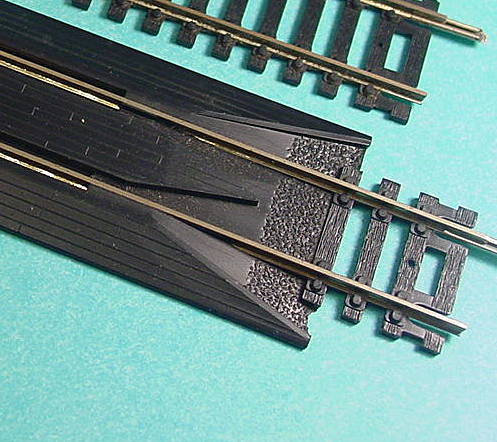 Very early on with my current and last layout I noticed the problem keeping the rails clean in my crossings so I sanded them down to about 1/64” below the rails. That allows for cleaning cars to ungunk those rails too. The slightly lower surface isn’t noticeable and I’ve never had a problem with the road surface after running my CMX for years but then again I’ve never used a thinner or solvent based type cleaner in my CMX to clean the rails. I just had to bump back Bearman's thread, as I didn't feel the need to start a new one. In this thread, I languished on buying a CMX car, well today I made a compromise. I was sooooo close, page in front me, hand on mouse, ready to buy, and I stopped. I just couldn't see spending the money on this, when I could buy a new loco, with sound, for the same price. All the working parts are there. I actually have a couple of these, but one is missing a couple of things. What I did do, is spend $9 for a roll of the pad that goes on the CMX car, and it works great! Previously, I used a piece of t shirt, or just a piece of rag. I now have a great track cleaning car. RR_Mel wrote the following post 10 days ago: mbinsewi The longer I put off buying one of these, the more they cost. Confused Mike. I’ve had mine for a long time, I think I paid around $70 for my CMX. Of course you don't have the dripping fluid option, but you can always apply some to the pad on the above as necessary. Also available in N scale. Maybe not quite as effective as the CMX but possibly an option for those hard to reach areas. My little "sugar" car works great with the CMX pad. I have about 12' of hidden track, so the good ole' armstrong cleaner can't get everywhere.